Brian heads outside on Destination Louisville to learn some tips from Home Skateshop, started by a skateboarder in 1994. They are here to serve the community of Louisville and beyond with the highest quality skateboarding gear and accessories. Still skater owned operated to this day. 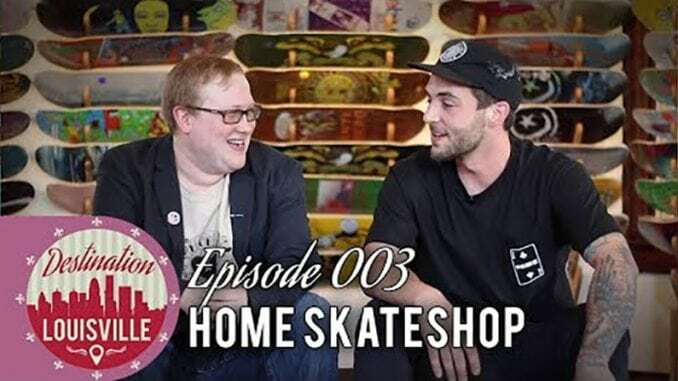 Home Skateshop is a skateboard shop ran by skateboarders that are here to cater to your every skateboard related need. They carry a wide variety of brands in hardgoods and softgoods. If you can’t find something in the shop that you like, they can always order it for you. Destination Louisville is a production of the DNN: Destination Nation Network and is brought to you by Brian Barrow, Eric Groovely, and Christopher Dillard.